It’s no Nightwish but for a first full length release it’s a strong welcome to the world of Oblivion. And the award for worst name goes to…. Well, obviously this lot. I suppose it immediately lets people know what side of the Rock fence you sit on but it just doesn’t feel right somehow. What’s important, of course, is the music and this Italian band (I think they’re a Power Metal act) have obviously put a lot into this, their first full length release. 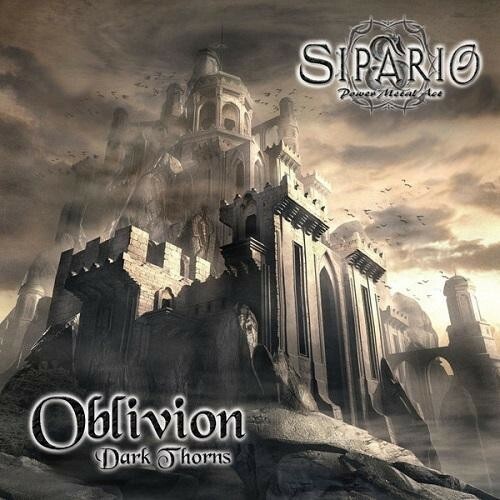 ‘Oblivion: Dark Thorns’ is a concept album based around a story by band leader and keyboard player Daniele Tari. The story itself is a fantasy one and it allows various people to take on the personas of different characters, with Tari himself growling away as the evil (bwah ha haaaa) Prince Djilak. There’s plenty of drama, spoken word interludes and, of course, Power Metal involved in the tale telling and to be honest it’s not too shabby. The two main female singers have pretty good voices and the atmospheric background effects do a fine job of drawing the listener into the story, feeling more like a soundtrack than a straight record at times. Sipario have produced a decent album that will reward those who really want to delve deeper into the story aspect, but also those who just want to listen to a well made concept album with operatic leanings and widdly guitar (although there certainly could have been more guitar for a Power Metal act, to be honest). It’s no Nightwish but for a first full length release it’s a strong welcome to the world of Oblivion.